In a harmonious meeting of minds, Griffin presents an exclusive collaboration with America’s oldest outerwear label - Woolrich - for Fall/Winter 2018. Captured in the creation of two limited edition classics, the Griffin x Woolrich also plays homage to our eco-retreat hotel Loveland Farm . Based on the rugged Atlantic coast and driven by a dream for a sustainable future, Griffin tests innovative fabrication in the wildest of conditions. 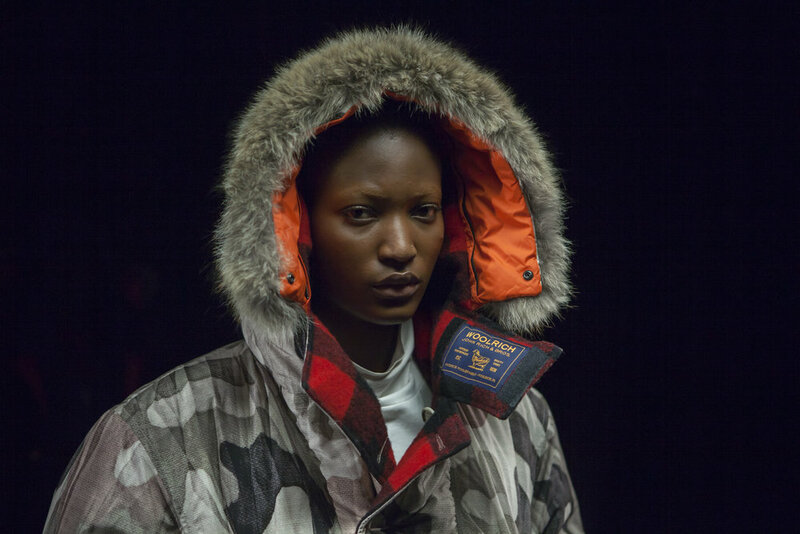 Led by Jeff Griffin and his passion for technically focused outerwear, the collaboration alongside heritage brand Woolrich represents a shared love for performance apparel and the great outdoors. 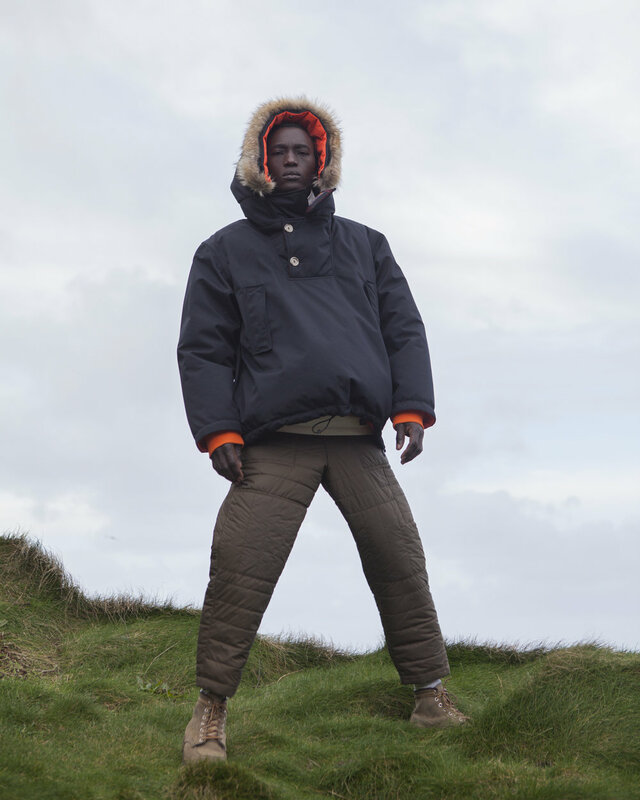 In celebration of Woolrich’s founding year, the limited edition Atlantic Parka and Smock Anorak have been produced exclusively as 1830 pieces. The Atlantic Parka, a reimagining of Woolrich’s iconic Arctic Parka, and the Smock Anorak are available in two colourways; military-inspired optic black and camouflage. Suitably multi-functional, both are fully reversible and feature a high-visibility orange lining, synonymous with outdoor wear. In a striking nod to the original Woolrich mill, the iconic Buffalo check covers hood and pockets while innovative technical fabrics ensure unrivalled protection against the elements. Waterproof, breathable and ultra-light, both pieces are made in Europe and tested in the harsh conditions of England’s Atlantic Coast. This collaboration is a tribute to tradition and a celebration of functionality and marks a new chapter in the Woolrich story that feels effortlessly natural.